Doses of several hundreds of grays are used in the food business to destroy the microorganisms or, as can be seen in this picture, the insects which pose a threat to humans. 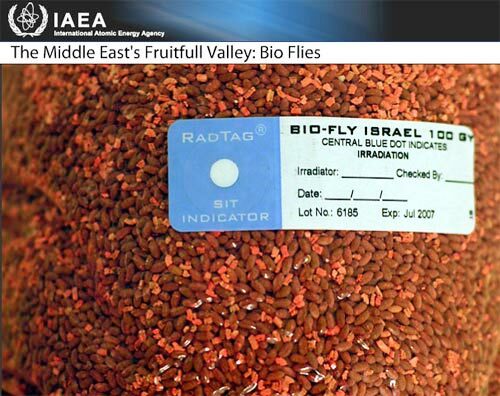 The photograph shows male larvae of Mediterranean flies that have been exposed to a radioactive source of cobalt 60. The flies are thus sterilized by a dose of several hundred grays. Once released, the species’ ability to proliferate is dramatically reduced.